The choice of Vietnam as the venue for a second US-North Korea summit this month shows the possibility of moving beyond conflict and division toward a thriving partnership, the US State Department said on Thursday. State Department spokesman Robert Palladino told a news briefing that US Special Representative for North Korea Stephen Biegun was in Pyongyang to prepare the February 27-28 summit and seeking progress on commitments made at the first meeting between President Donald Trump and North Korean leader Kim Jong Un in Singapore in June. 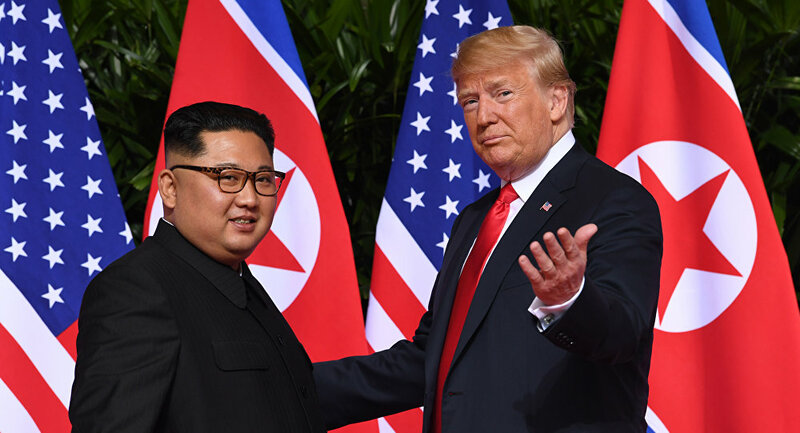 These included complete denuclearization, transformation of US-North Korea relations and building a lasting peace mechanism on the Korean Peninsula, he said. Palladino reiterated that sanctions relief that North Korea has been seeking would follow its denuclearization. “We moved past conflict and division towards the thriving partnership we enjoy today,” Mr Palladino said. While Trump has hailed “tremendous progress” in his dealings with North Korea, a confidential report by UN sanctions monitors seen by Reuters this week cast further doubt on North Korea’s intentions.